What Happened: First-term Santa Barbara Harbor Commissioner Helene Webb completed her four-year commitment on the commission in 2015. Her final meeting was Nov. 19, 2015. Dennis Power also stepped down after two years on the dais. Webb served on several committees during her time on the commission: Dredging, Local Coastal Update, Marina Reconstruction and Parking. Power is stepping down due to a scheduling conflict. What’s On Tap: The seats held by Webb and Power were still vacant as of press time. Appointments are made by the Santa Barbara City Council. The commission is currently functioning with five members. Commissioners are appointed to four-year terms. There are seven members on the Santa Barbara Harbor Commission. Commissioner Stephen MacIntosh’s term on the commission expired Dec. 31, 2015. He was reappointed at the Jan. 14 meeting; his term will run through Dec. 31, 2019. What Happened: An administrative law judge and commissioner with the California Public Utilities Commission (CPUC) issued proposed and alternative decisions to establish how the marketplace for delivery of everyday goods and services to Catalina Island operates. Both proposed rulings were issued on Jan. 22. The proposed and alternative decisions respectively issued by Administrative Law Judge Darwin E. Farrar and Commissioner Liane M. Randolph were reviewed and discussed by the Avalon City Council at its Feb. 2 meeting. Farrar’s decision allowed Curtin Maritime Corp. to transport a freighter between the Port of Long Beach and all points on Catalina Island; the company would also be allowed to apply for a zone of rate freedom. Randolph’s alternative decision granted Avalon Freight Services the right to service Catalina Island on the condition it provides the commission with details of its affiliated transactions; both Avalon Freight Services and Curtin Maritime Corp. would be allowed to apply for a zone of rate freedom. What’s On Tap: The CPUC will vote on which decision to issue. What Happened: Southern California was hit with heavy winds during the final weekend of January 2016 and first few days of February 2016. 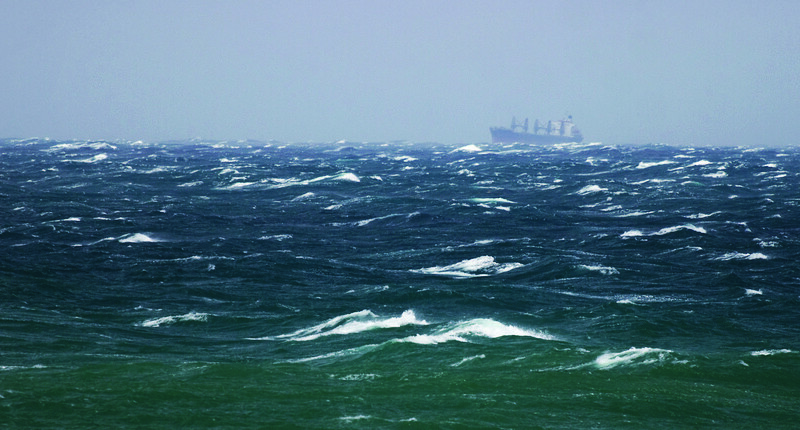 There were several news reports of winds damaging boats in the San Diego area. CBS News reported winds causing several boats to submerge near downtown San Diego on Jan. 31. The San Diego Union-Tribune reported boats were being pulled off their moorings because of high winds during the final hours of January. At least one partially submerged boat was in Newport Harbor, according to a Los Angeles Times report. Wind gusts reportedly reached 68 miles per hour at Ventura Harbor, where the harbor entrance is already shut down due to shoaling. What’s On Tap: Boaters should regularly check weather updates through the remainder of winter and into spring to monitor El Niño rains and winds. The National Weather Service in Oxnard regularly provides updated forecasts on its website, wrh.noaa.gov.